By now we've all heard the news about the House of Representatives passing the massive 2015 National Defense Authorization Act last week; now it just has to clear the Senate (should be child's play). Hey, it's just $585 billion (in U.S. taxpayer dollars!!!). Connecticut is a recipient of a decent portion of this largess, giving special meaning to "Made in Connecticut." The Connecticut Mirror ran an article on the bill that spelled out the shell game that is being played with the OHIO Class Replacement Program (New Trident) that will be built in Connecticut. ...a special gift is the bill's establishment of a "National Sea-Based Deterrence Fund" that would allow the Pentagon to put as much as $3.5 billion in a special account, outside the Navy's normal shipbuilding budget. It would pay for a new class of submarines that could be built by Electric Boat in Groton. The special fund allows the Pentagon to pay for these expensive ships without appearing to bust the Navy shipbuilding budget. The author states that building New Trident with that nifty new slush fund with the fancy name will only give the appearance of not busting the Navy's shipbuilding budget. Construction of 12 New Tridents will ultimately cost approximately $100 billion; that's one big slush fund! The establishment of the fund is a tactic that hasn't been used since the 1980s when former President Ronald Reagan created a similar way to pay for his "Star Wars" missile defense program. The Ohio-class sub is the most important warship in the entire fleet because it is meant to deter a nuclear war," said Loren Thompson, a defense analyst at the Lexington Institute. 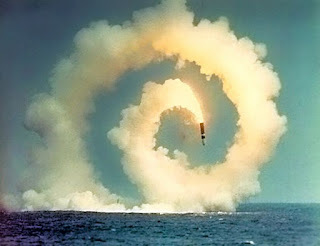 Nuclear deterrence is a far less persuasive strategic response to a world of potential regional nuclear arms races and nuclear terrorism than it was to the cold war. Of course, there has been no debate as to the need to replace the undeniably aging fleet of Trident submarines. We just keep hearing the repetition of the need to maintain our strategic deterrent. 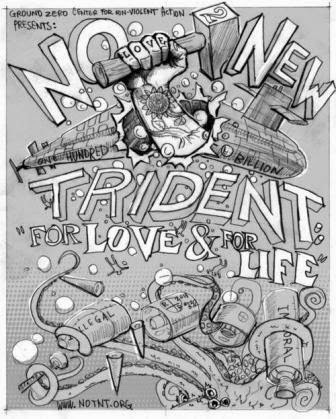 As it stands, it's not about whether or not we will build New Trident but rather who will build it. The special fund was proposed by Rep. Randy Forbes, R-Va., who heads the seapower subcommittee of the House Armed Services Committee and whose district is home to Newport News Shipbuilding. Rep. Joe Courtney, D-2nd District, whose district includes Electric Boat and Naval Submarine Base New London is also a longtime advocate of the plan. The New London base would be protected by another provision of the bill which prohibits funding another round of base closings. With dueling shipyards (and their Representatives) competing for the mammoth OHIO Class Replacement, it's definitely looking like Christmas came early to Connecticut one shipyard or another. This is one those moments when I actually want to see the Grinch come and steal the presents!